Introduction to Virtual Finance Director We are pleased to inform you that Virtual Finance Director is the only UK based Cloud accounting practise, not affiliated with any traditional accountants practise. 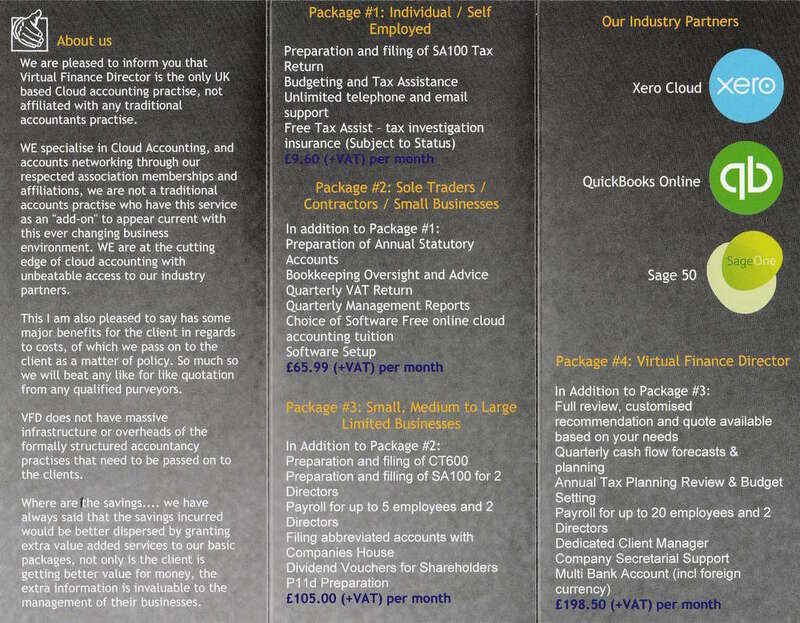 WE specialise in Cloud Accounting, and accounts networking through our respected association memberships and affiliations, we are not a traditional accounts practise who have this service as an "add-on" to appear current with this ever changing business environment. 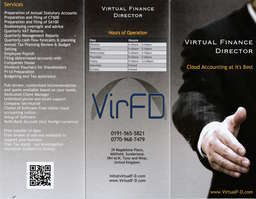 WE are at the cutting edge of cloud accounting with unbeatable access to our industry partners. This I am also pleased to say has some major benefits for the client in regards to costs, of which we pass on to the client as a matter of policy. So much so we will beat any like for like quotation from any qualified purveyors. VFD does not have massive infrastructure or overheads of the formally structured accountancy practises that need to be passed on to the clients. 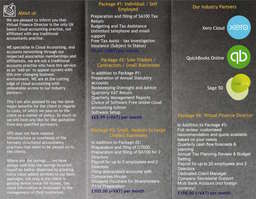 Where are the savings.... we have always said that the savings incurred would be better dispersed by granting extra value added services to our basic packages, not only is the client is getting better value for money, the extra information is invaluable to the management of their businesses.